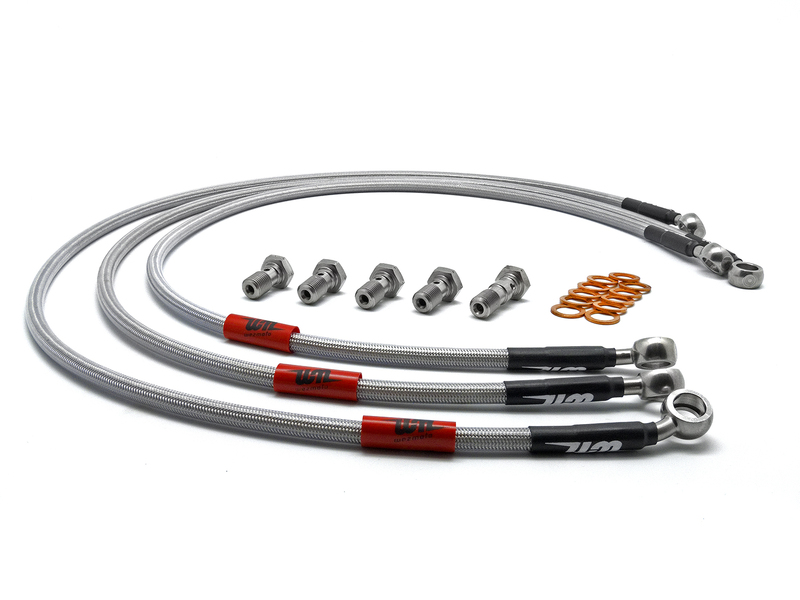 Wezmoto performance brakelines are made from a stainless steel braided hose with a Teflon inner hose which is coated with protective plastic sleeve which helps protect your paintwork from scratches and enhances the look of your bike. All our fittings are full Stainless Steel, not Zinc Plated. You can also choose the colour of the stainless steel banjos from; Plain Stainless, Black or Gold. Fitting this kit will bring much improved braking, eliminating that mushy feeling of rubber hoses, up to 60% less expansion than the standard rubber hoses, will never fade due to heat build-up and reduce brake lever travel which creates faster braking power and a much improved feel. If you have added handlebar risers or extended your rear swingarm, we will add the extra length absolutely free! Just tell us how much longer you need it when ordering. 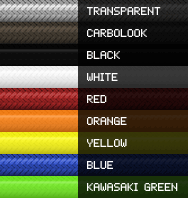 Choose your colours and click the ‘add to basket’ button to order your Wezmoto Brake Lines. 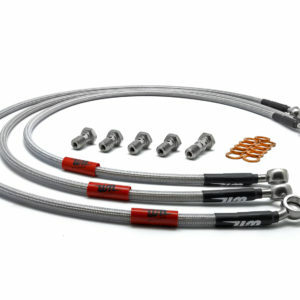 Premium braided hose kits in a choice of colours. Designed and made in the UK for improved braking performance. Available for over 3500 models.